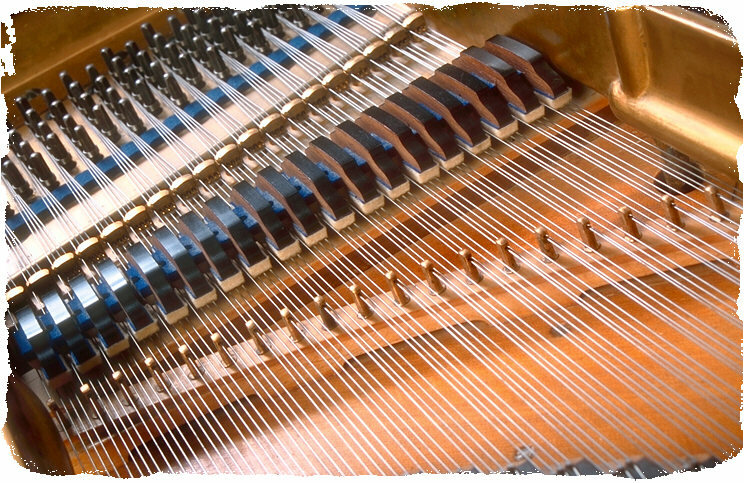 Tuning-Tuning your piano should be done on a regular basis to maintain the best tone quality. Piano manufacturers recommend a minimum of 2 tunings per year for optimum tone and pitch.I advise my customers if they can't afford 2 tunings annually do at least 1 tuning to maintain proper pitch,tone and stability. A=440-Which means concert pitch the standard pitch used on all instruments world wide.Neglected pianos not tuned for long periods of time will drop below A=440 in some cases a 1/2 step or more requiring several tunings to bring it back up to pitch.Although a piano below pitch can be tuned to it self its tone quality will be diminished. 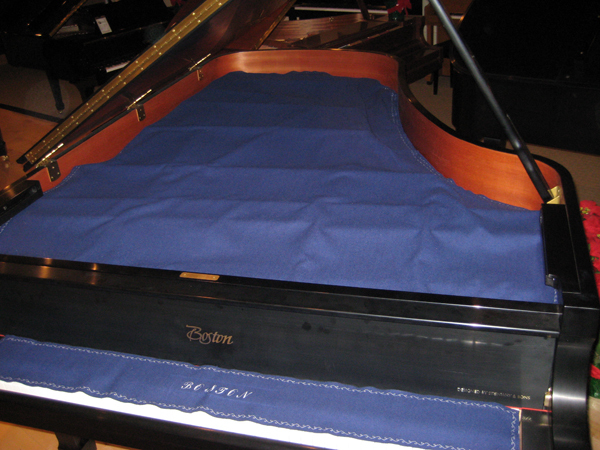 Piano Care Tips- Your piano will do best where the humidity level and temperature is consistent, Avoid placing the piano close to heating units or air conditioning vents. Although you can put your piano next to an insulated outside wall, it is best next to an inside wall. Don't place your piano in very sunny locations, as this causes the finish to fade. Keep plants, drinks, vases with cut flowers , etcetera, off your piano. Liquid spills can cause serious damage to the keys, action and finish. Exterior Care:- Use wax free dust sprays on lacquer finishes. Polyester and polyurethane finishes can be cleaned with a slightly damp soft polishing cloth. Keys also should be cleaned with a slightly damp polishing cloth. Mild soap can be added for stubborn areas on piano keys. For polishing lacquer, polyester and polyurethane there are specially formulated products specifically designed for these finishes without the wax buildup, which is detrimental to these finishes.